– All files (.EPS, .AI, .PNG, JPEG & PDF files) are CMYK, high resolution ready for print. – Your designs will be 100% unique and will never be resold. 3- Do you have any specific imagery in mind? 4- Do you have any colour preferences, or existing brand colours, your website URL? 7. 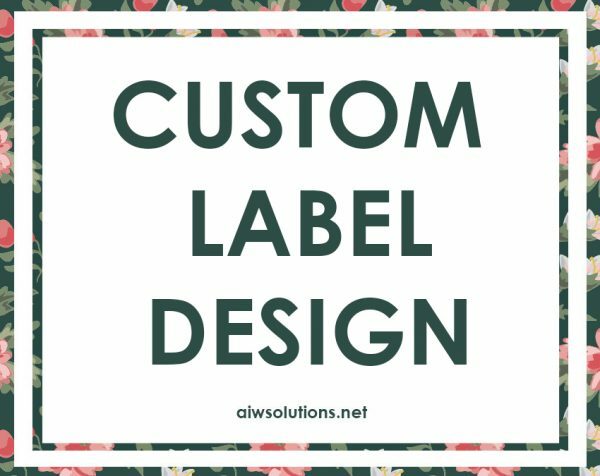 Please explain how you would like your label to look? 8. Do you like any fonts and images for your label on https://www.shutterstock.com and https://www.dafont.com? If yes, please send me the imageID on shutterstock.com and font names. Turnaround time is 2-4 business days.